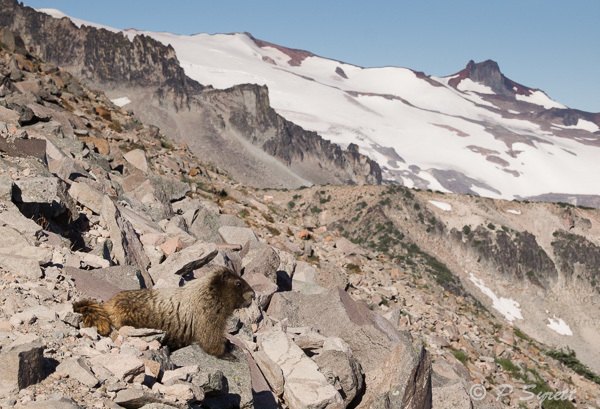 I have seen hoary marmots in several locations throughout the north-western states of the US. These were photographed in Mt Rainier National Park. 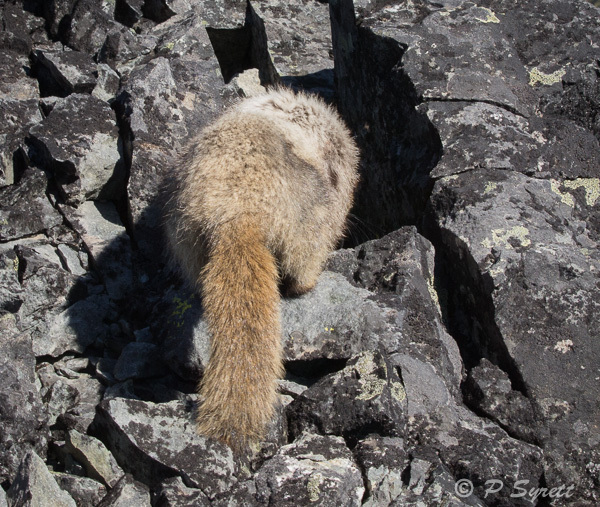 Marmots are well known for occupying conspicuous ‘look-out’ rocks, with a burrow in talus or in the ground beneath their rock, allowing a rapid retreat if necessary. This habit makes them stand out against the background so they are relatively easy to photograph. 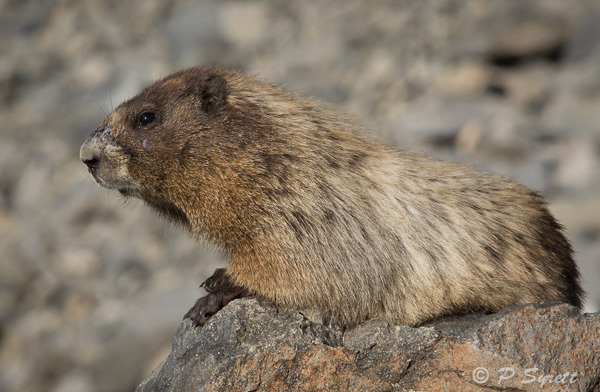 Hoary marmots are alpine specialists, living above the tree line among rock and snow. They are attractively marked, looking as though the frost has caught the outer tips of their fur, as the hairs are tipped with white. The fur on their tails is orangey coloured, as you can see as this individual scurries into his burrow. 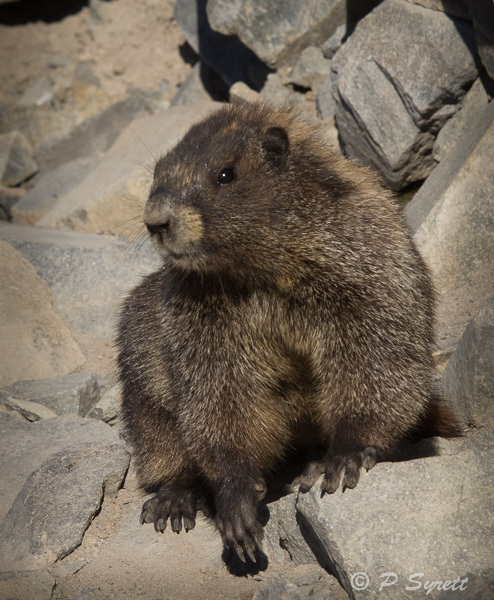 Hoary marmots hibernate between September and May, so they have a relatively short period of activity. 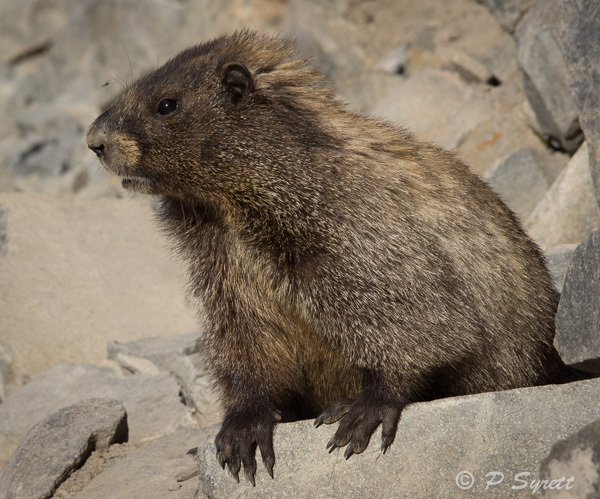 They usually excavate their burrows under large rocks to prevent them being dug into by hungry grizzly bears, and are more communal than other marmots living in quite large family groups.